In a valley north of Nuremberg, Germany, modern medicine changed forever. For over 160 years, nearly every major diagnostic medical achievement can trace its roots to this area. 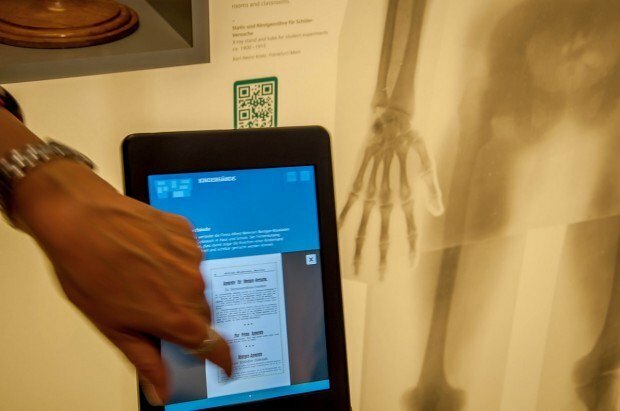 In 2014, a museum opened to document these advancements in science and medicine. I recently visited the Siemens Healthineers MedMuseum (Siemens Unternehmensmuseum für Medizinische Technik) in the quiet university town of Erlangen, Germany to learn about these innovations. 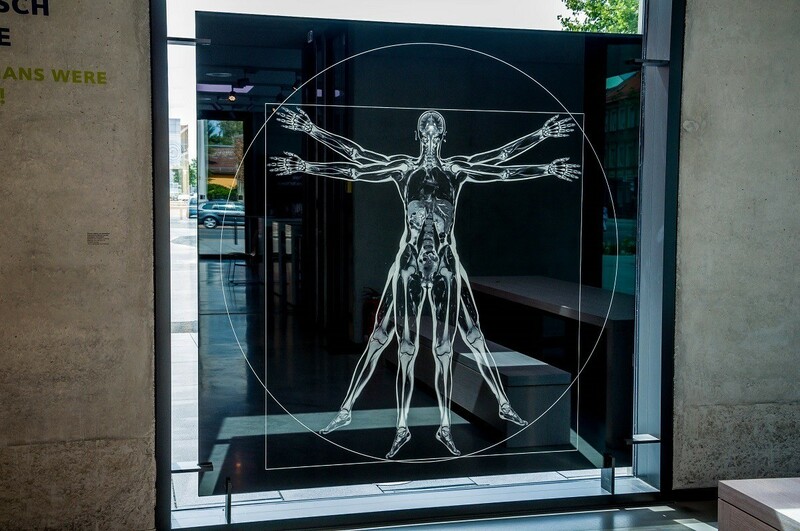 The “MedMuseum” (as the company calls it) tells the history of modern medicine and the discovery of major medical innovations through the ages. 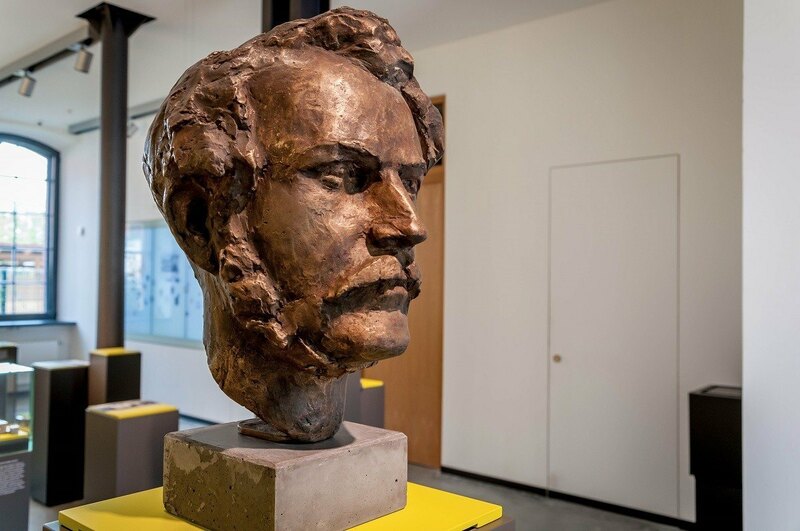 The first “modern” medical experiments date back to 1844 when Werner von Siemens used electrical currents to try and cure his brother Friedrich von Siemens’ tooth pain. Evidently, he was successful in his efforts. 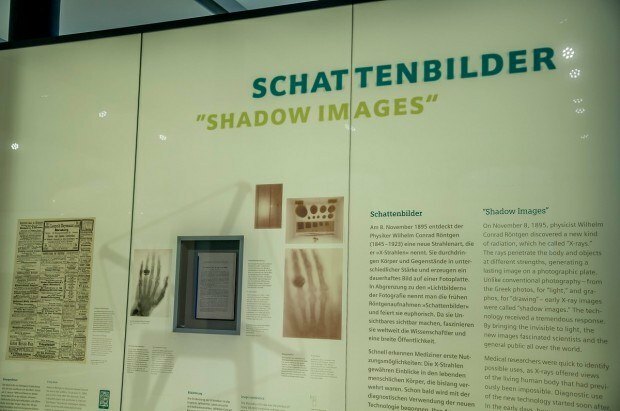 For me, the most interesting part of the exhibit was the discovery of the x-ray. After dark on the evening of November 8, 1895, Wilhelm Conrad Röntgen gathered up his wife, took her into a closet and placed her left hand between a tube and a barium platinocyanide plate. Shortly after his discovery was published, the technique was being used in diagnostic medicine. For his efforts, Wilhelm Rontgen was awarded The Nobel Prize in Physics in 1901. A fully accurate rendering of Leonardo da Vinci’s Vitruvian Man. But the evolution of medicine didn’t stop with the x-ray. Medical physicists took the x-ray and used computers to stack multiple, iterative x-rays into a multi-dimensional rendering of anatomical structures – and the modern computed tomography (CT) system was born. 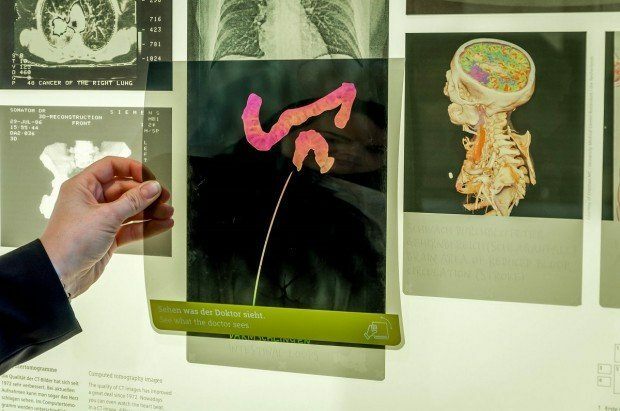 Using the same advanced computing technology (and some really big magnets), distortions in the magnetic field around a human body were measured – and the modern magnetic resonance imaging (MRI) was born. One of the most common aspects of medical technology is ultrasound. For me, it seems hardly a day goes by that one of my friends isn’t posting that “first photo” on Facebook. 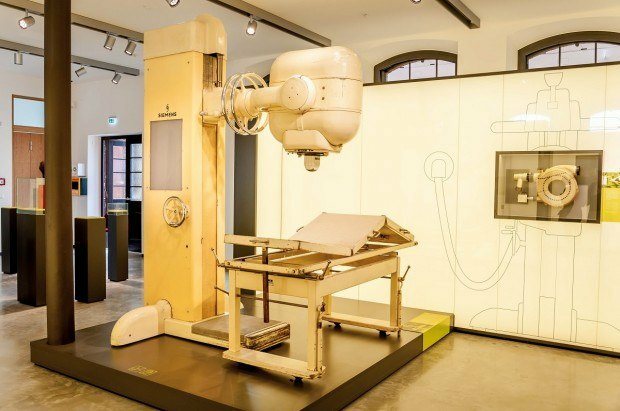 The Siemens Healthineers Med Museum showcases the ultrasound breakthrough in 1964 with the first real-time movements seen within the body. The Siemens Healthineers Med Museum in Erlangen has many other amazing inventions on display: the first electric hearing aid (1911), the first electric dental drill (in 1890) so you can have that root canal, and the first implantable cardiac pacemaker. The world of in vitro diagnostic tests (i.e., blood tests) was also represented. As a traveler who visits lots of museums around the world, I was struck by two things. First, despite being essentially the Siemens company museum, it wasn’t promotional. If anything, great pains were taken to be historically relevant, medically accurate, and universally appealing. Second, some of the technology used in the museum (iPad locator devices, hidden writing made visible through polarized screens, etc.) was really creative. 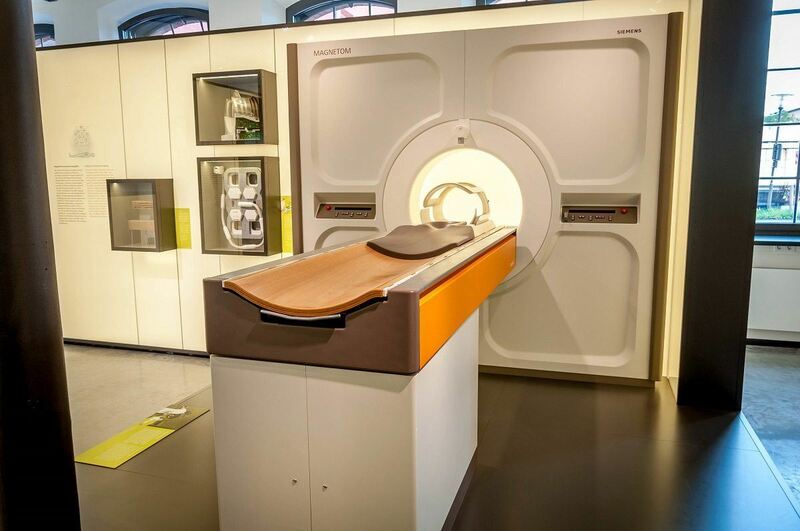 The Siemens Healthineers MedMuseuum is really the story of technological progress in medicine. The history presented shows how we have evolved in our understanding of medicine, and how we have progressed in our abilities to diagnose and treat disease. 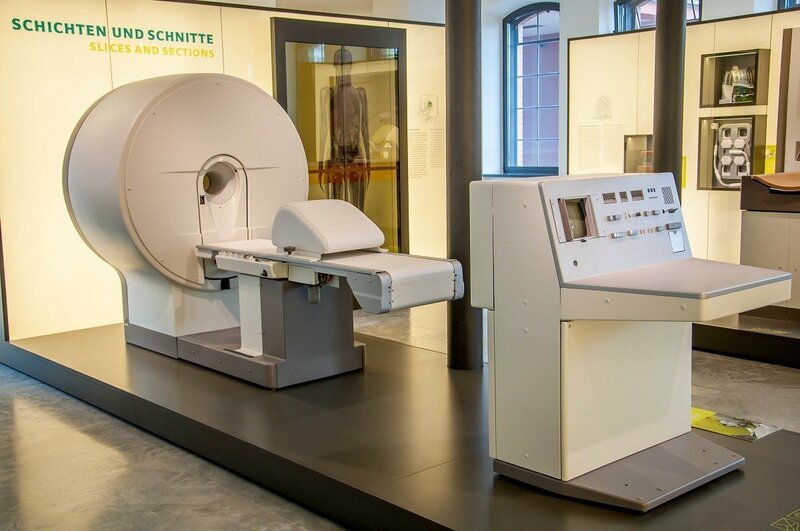 There are not a lot of things to do in the sleepy university town of Erlangen, Germany, but a visit to the Siemens Healthineers MedMuseum should be high on any visitor’s list. Siemens Unternehmensmuseum für Medizinische Technik: Gebbertstraße 1, 91052 Erlangen, Germany. Tuesday-Saturday 10:00am-5:00pm; closed on Monday, Sunday and all German and Bavarian holidays. 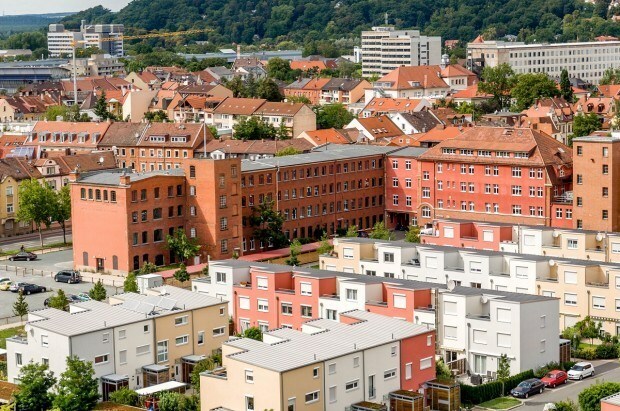 To reach the Medical Museum via public transit, take bus lines 208, 209, 210, 252, 284, 285 and 293 to the Zollhaus stop. 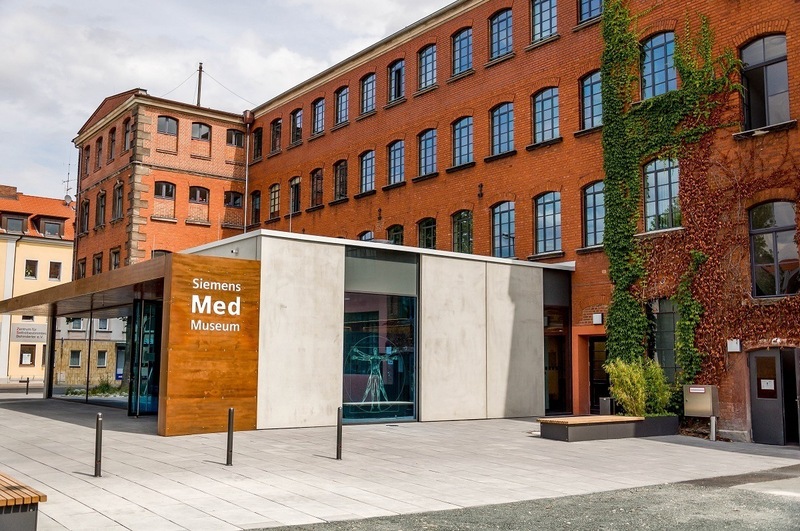 If arriving by private car, there is limited parking available at the Siemens Healthineers MedMuseum. Disclosure: I am employed by Siemens Healthineers (formerly called Siemens Healthcare). I’m writing about this museum purely because I geek out on medical technology and history, so naturally, I find the intersection of the two very interesting.